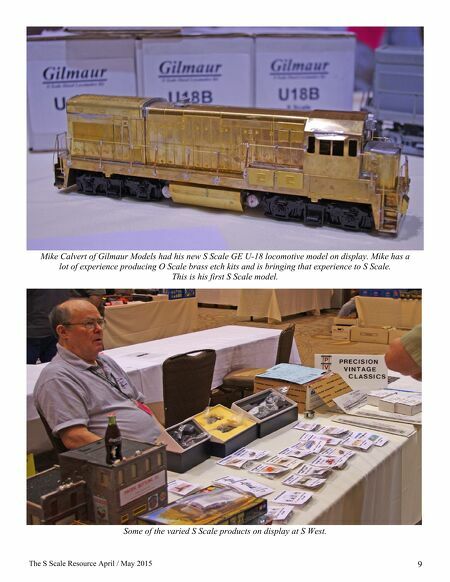 The S Scale Resource April / May 2015 9 Mike Calvert of Gilmaur Models had his new S Scale GE U-18 locomotive model on display. Mike has a lot of experience producing O Scale brass etch kits and is bringing that experience to S Scale. This is his first S Scale model. 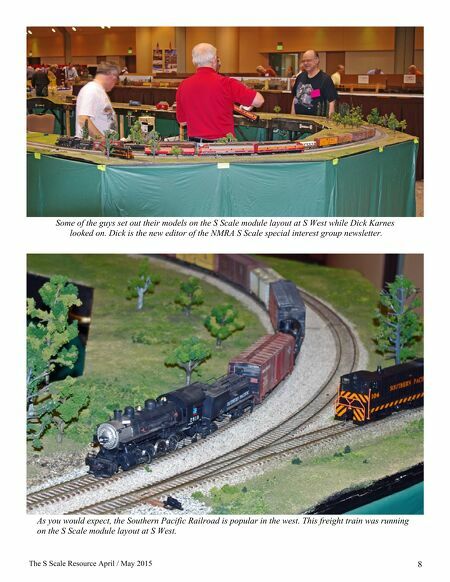 Some of the varied S Scale products on display at S West.